Establishing a relationship between content and the real-world in introductory science courses is vital for increasing student persistence. In response, the American Chemical Society Committee on Professional Training (ACS-CPT) advocates for the incorporation of research into undergraduate chemistry curriculum. Recently, course-based undergraduate research experiences (CUREs), where whole classes of students address a research question, have been implemented to bring research into the classroom. CUREs provide a means to expand involvement in STEM research to a broader population and with a lower demand on resources, compared to traditional mentoring in individual PI research laboratories. The integration of environmental topics in the classroom can also provide a connection between the undergraduate chemistry curriculum and the natural world. 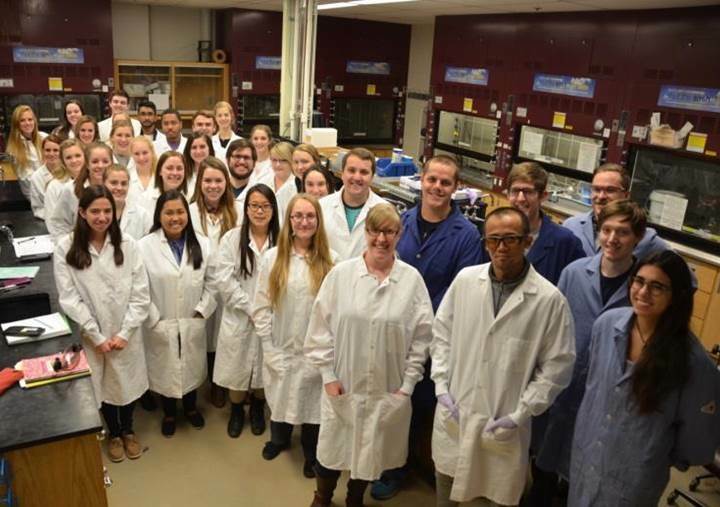 To investigate the impacts of these pedagogical approaches (CURE and an environmental theme), the Pratt Lab designed and implemented a semester-long CURE in the general chemistry laboratory. This effort was originally led by Prof. Kerri Pratt and PhD student Nate May and Stephen McNamara. In this course, first- and second-year undergraduate students participated in active Pratt lab research in snow chemistry through a semester-long project. To our knowledge, this is the first environmental chemistry CURE at the introductory chemistry level. The instructional team includes Prof. Pratt, one postdoctoral teaching fellow, two-four undergraduate assistants for peer mentoring, and two future faculty graduate student instructors (FFGSIs), who spend half of their teaching time on course development. 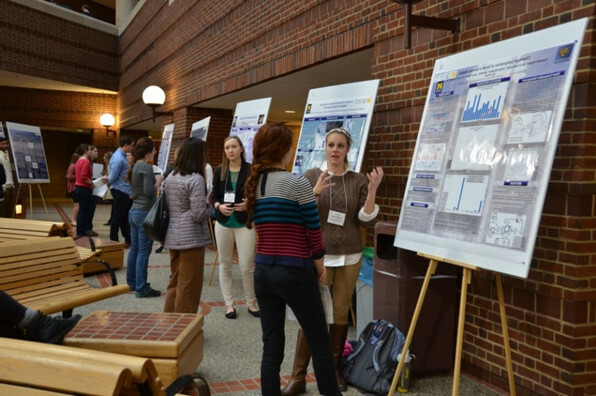 Students are guided through all steps of the research process, including hypothesis development, data collection and processing, interpretation of results in the context of scientific literature, manuscript writing, and the culmination of a public poster symposium, judged by CSEIUM. General chemistry concepts (e.g., pH and buffering) are integrated through snow chemistry experiments (e.g., pH and buffering capacity of snow on sea ice) that explore active Pratt Lab research questions. A key course component is a visit to my research laboratory, individually or in pairs, to each analyze a unique Arctic snow sample using ion chromatography, providing an introduction to research-grade instrumentation. Notably, female students have been disproportionately interested in the course; 82% (FA15) and 63% (FA16), respectively, were female, compared to 50% of >1000 students in the traditional course. The positive impact of this course on students, measured through quantitative and qualitative surveys, motivates increased implementation of courses that incorporate a real-world connection through environmental research. We have given presentations about our course development at multiple diversity & education events at the Univ. of Michigan and American Chemical Society national meetings. This course development is made possible by the Howard Hughes Medical Institute through the Authentic Research Connection. 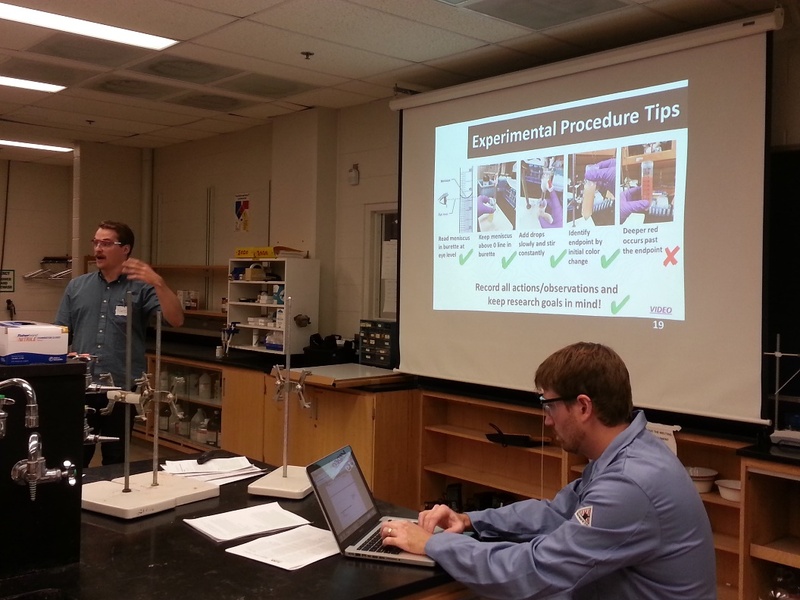 To increase the accessibility of environmental chemistry research experience, the Pratt Lab designed an environmental chemistry research-based laboratory experiment for the high school classroom that uses basic laboratory equipment and easily accessible authentic environmental samples. 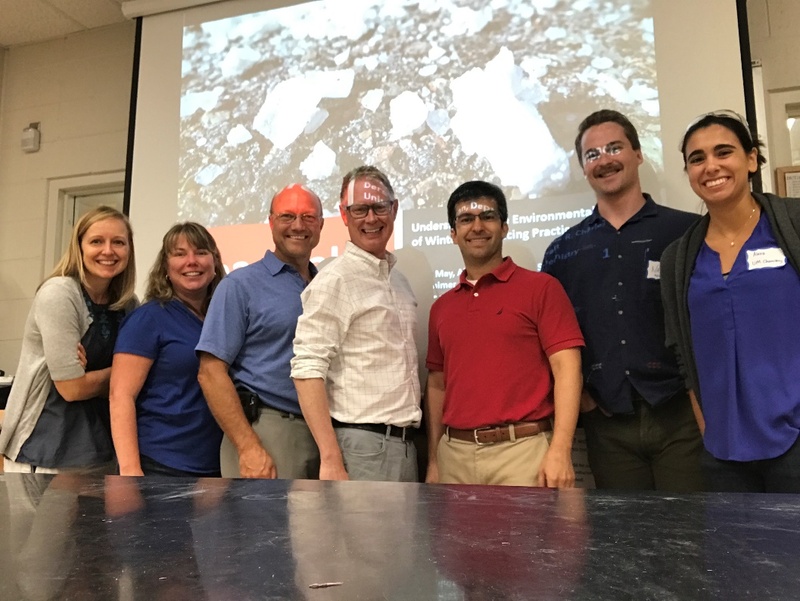 This environmental chemistry experiment was conducted with high school teachers in a series of workshops as a part of the Inter-Professional STEM Learning Community (STEM-IPLC) founded by collaborators Dr. Ginger Shultz, Dr. R. Charles Dershimer, and Dr. Leah Bricker. The goal of this work is to increase the connection between authentic scientific research practices and content learning at the high school level through the development and implementation of workshops with high school teachers, with evaluation by qualitative methods. Together Prof. Pratt Pratt Lab PhD student Nate May taught a three-week research module to pre-service teachers in Winter 2016 and most recently PhD student Nate May co-organized a two-day high school teacher workshop in August 2017. Together PhD student Nate May and Pratt Lab undergraduate researcher Alexa Watson are using qualitative data to investigate best practices to implement chemistry research into the high school curriculum in collaboration with Prof. Ginger Shultz.